Hey y'all! I hope you are having a great week so far! I didn't have to work on Monday or Tuesday so I've had some extra time to get some things accomplished around the house. However, I always seem to plan out more things to do than I have time (or energy) to complete. At least I have good intentions! One of the top things on my list was finally taking down the Christmas tree in my dining. But, I loved all of the pink vintage ornaments on it so it was just kind of hard to take down. The sparkle and twinkle of Christmastime always brings me so much joy. I am hoping to make our space a little more cozy with our living room refresh! 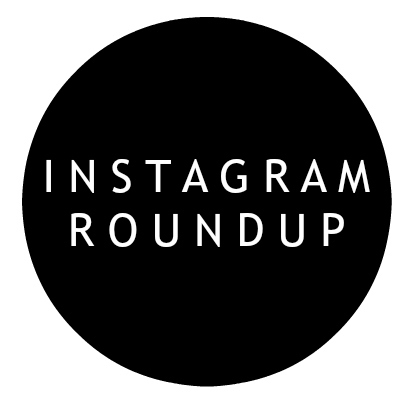 Today, I'm sharing my weekly Instagram Roundup, including the outfits I wore last week. I don't like wishing the days or seasons away but honestly, I am just really looking forward to springtime! I love everything about spring, especially the pretty weather and the flowers! Trader Joe's has to be the most fun grocery store! We love going in there to taste new items and stock up on our favorites. 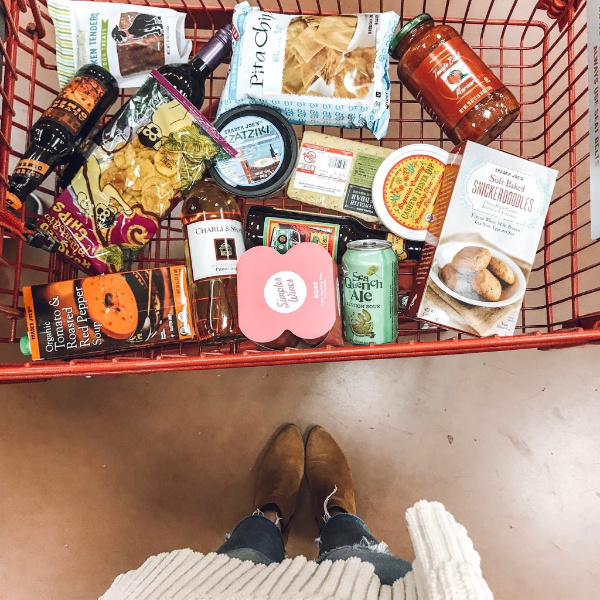 What are you favorite things to buy at Trader Joe's? 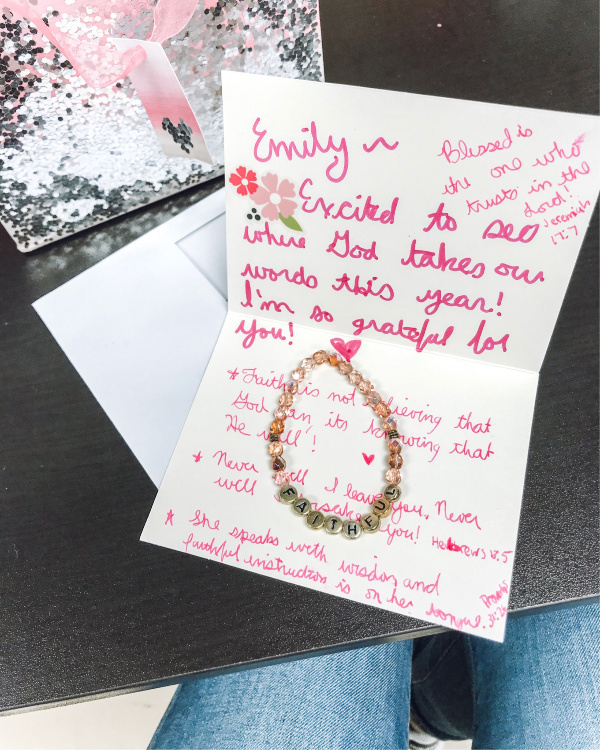 My friend Pam got my one word created into these beautiful bracelet to serve as a daily reminder of God's faithfulness. You can read about why I picked this word in this blog post. 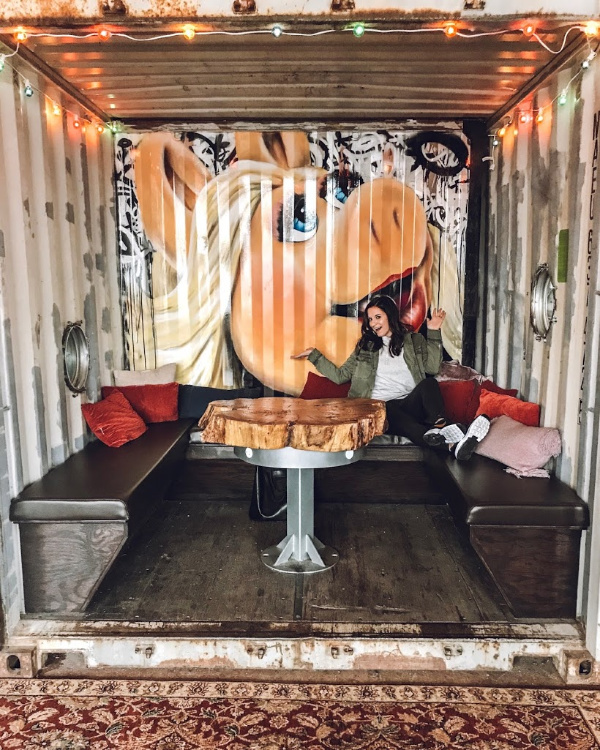 How fun is this Miss Piggy lounge?! Fun fact: I have always been a big fan of pigs. I even collected piggy stuff as a child! I've even considered owning a pet pig! 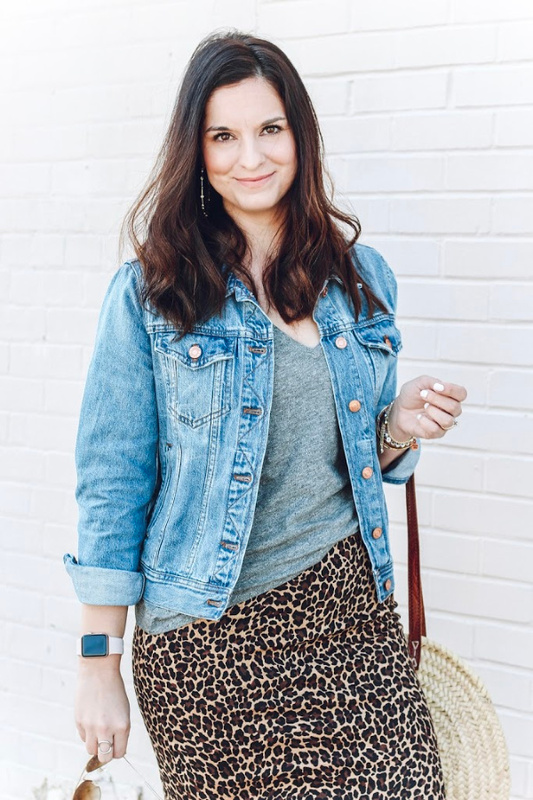 I used to wear a chambray shirt all of the time and now I remember why. They make you look put together while being comfortable. 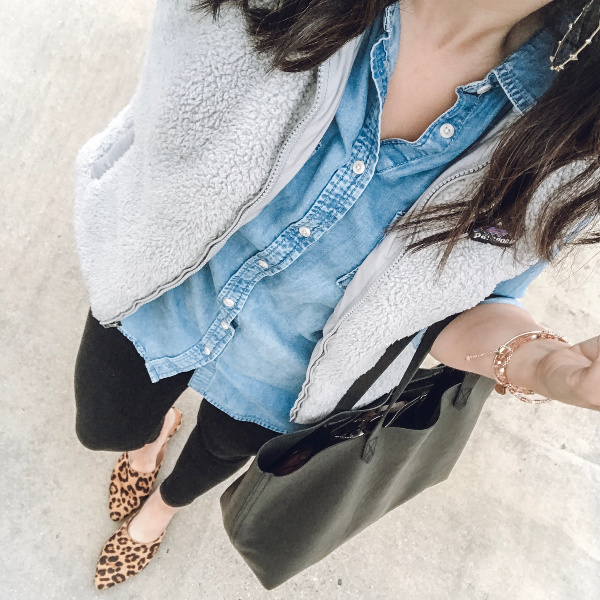 I love when stylish meets comfy! We are currently giving our living room a refresh because after the Christmas tree came down, it just felt a little bare. So far, we have added a fun chair and a majesty palm. 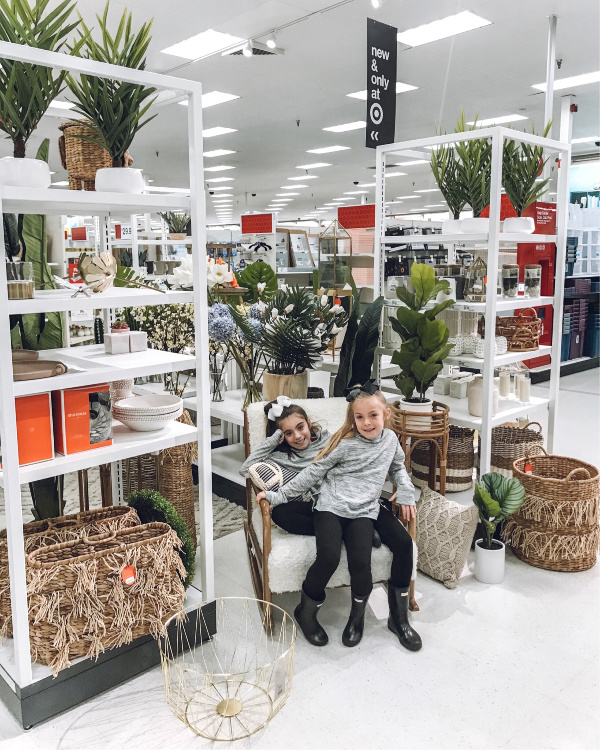 I love all of these fun home decor pieces that we spotted at Target! Hello, softest sweater ever! This chenille fabric feels so soft against your skin. I love it! 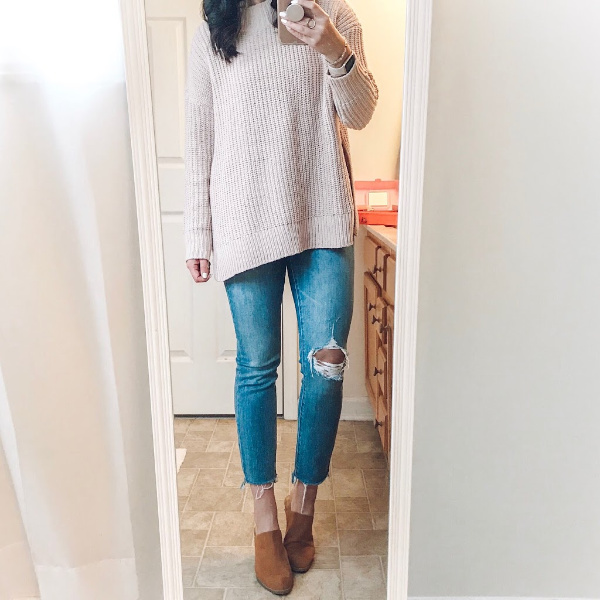 This sweater also has side slits and it's leggings friendly. One of my top three sweaters in my closet!